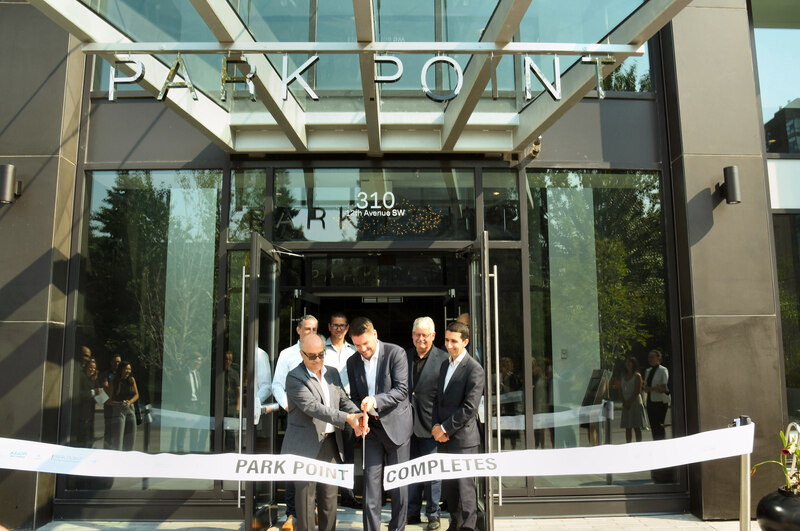 Qualex Landmark‘s Park Point condominium project is officially completed, the new tower ready to welcome home its first generation of residents. The standout 34-storey, $110 million development was officially honored on Wednesday morning with a ribbon cutting celebration. Homeowners began the tiered move-in process with the first keys being handed over on the morning of Thursday, August 9th. President of Qualex, Mohammed Esfahani, and Ward 8 Councillor Evan Woolley, acting as deputy mayor, cut a ribbon at the front entrance of the building to officially mark the completion of one the tower. Axiom Builders began construction in the fall of 2015 and the development has progressed on schedule, with up to 170-200 workers on-site during peak times, with an average of 135 people working every day. The topping off ceremony was held last September, and since that time most of the work on site has been indoors. The 289 suite tower offers residents a wide range of amenities. 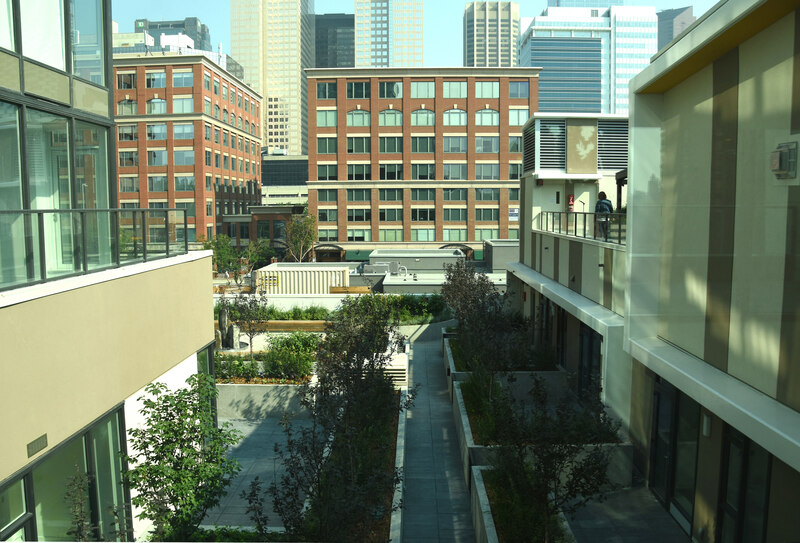 Located atop the tower podium on the third floor, Park Point hosts an expansive list of sophisticated indoor and outdoor amenities within a 9,000 sq. ft. space. Some of the outdoor amenities include a zen terrace with seating and water feature, a sundeck terrace overlooking the park, and an outdoor social lounge. Indoor amenities include a fully equipped fitness facility, steam rooms, a yoga studio, and an indoor social area. 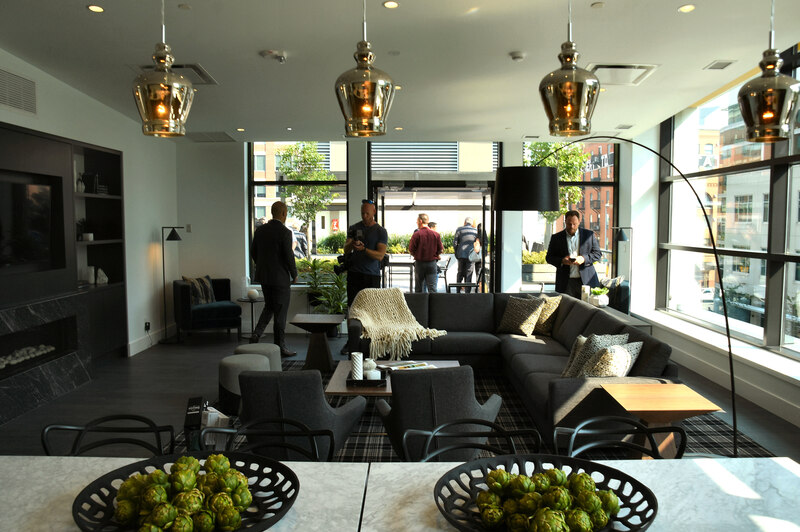 While Park Point is striking in itself as a tower on the outside and boasts many amenities on the inside, one of the greatest features are the views from the upper floor suites. 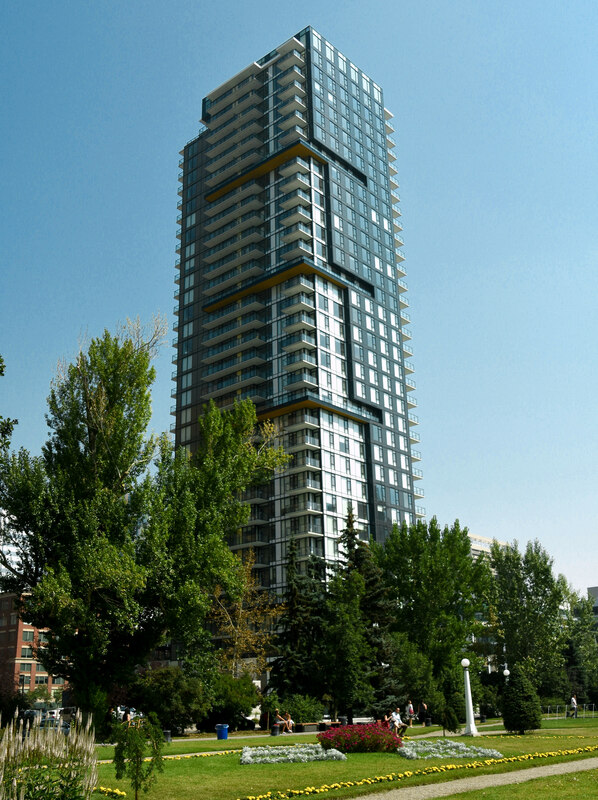 Situated in one of the Beltline’s prime locations, the tower has stunning panoramic views of downtown Calgary. Views to the south look directly over Central Memorial Park, while views to the southwest have the Rocky Mountains as a backdrop. Views to the east have Victoria Parkand East Village. Set to deliver upwards of 400 new residents to the heart of the Beltline, Park Point will be a welcome addition to the rapidly evolving neighbourhood. "I love my new condo, everything from the location to the finishing touches are perfect. Customer Service has been very attentive up to date. The sales process for District Crossing was effortless, and the sales team at District Crossing was amazing."